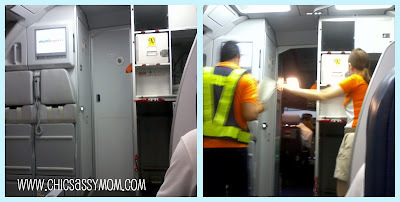 Although, our flight was delayed for 30 minutes, I appreciate though how conscious the airline staff that they tried to make the boarding as swift and as flawless as possible. It makes the hassle less irritating if you see them recognizing it and were trying to make up for it, instead of just some taking their time still. As always, the new airbus of Airphil Express is always a welcome treat. And then we're off to la la land as Chase & I dozed off the whole flight time. 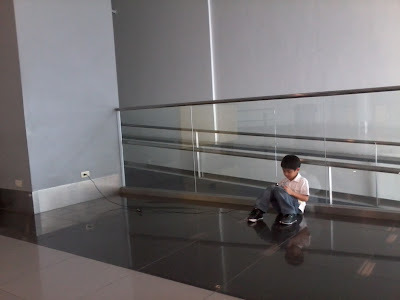 My son while waiting for our flight. I love how Terminal 3 has convenient outlets in every gates. The restrooms, and the food/convenience stores are also well located each gate. 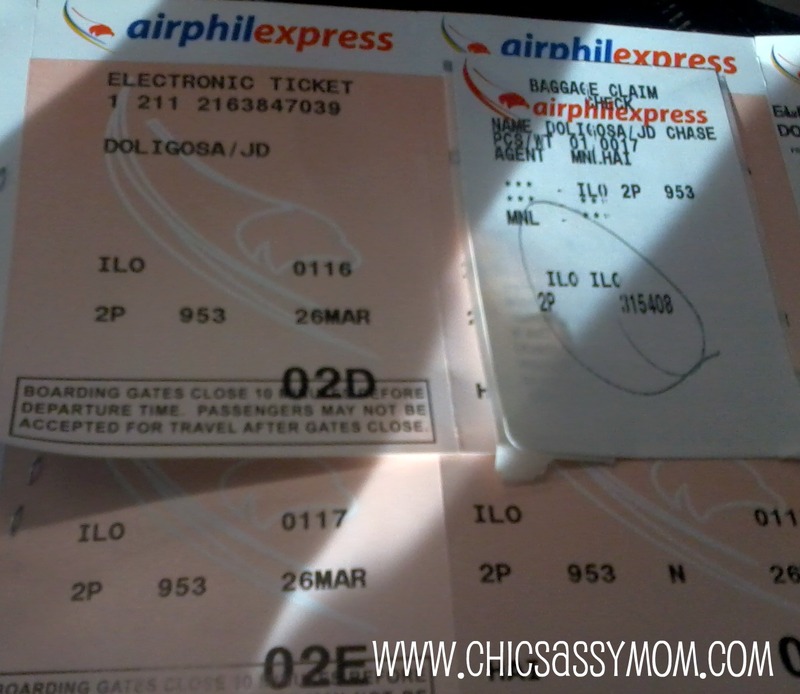 Well...on with more good news, Airphil Express is actually having an ongoing seat sale! 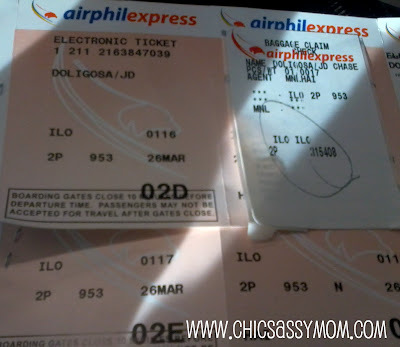 We just booked our flight for our 2012 Iloilo visit. All three of us (hubby, Chase & I) for only Php 1395. Yay! That's it for me today...will be off to Boracay tomorrow to Thursday. Be "write" back asap!